Discussion in 'Indian Air Force' started by layman, Aug 14, 2014. & would be in future also . This article tries to explain why RBE 2 AESA radar was the safest bet for IAF in MMRCA evaluations?? 1st we should know what was the MMRCA radar requirement at that time?? One of the selection criteria in the tender is that the fighter's radar must have an active phased array radar with a target detection range of at least 130 kilometers (about 80 miles)." But what about the crucial AESA (active electronically scanned array) radar, which is operational only on American fighters at present? MoD said the ASQRs did "not require a flying AESA radar''. Instead, vendors had to demonstrate "a baseline radar model in flight or on a test-bed, the complete working model in a lab and how it would be integrated'' on the Indian MMRCA. "Five fighters, including Rafale and Typhoon, met this requirement,'' said the source. So for comparitive basis We would be stressing more on Air to air capabilities meanwhile ignoring the Air to ground capabilities of all the radars available at that time. SO 1st get started by taking a brief look about RAfale"S RBE 2 aesa RADAR & it's capabilities . 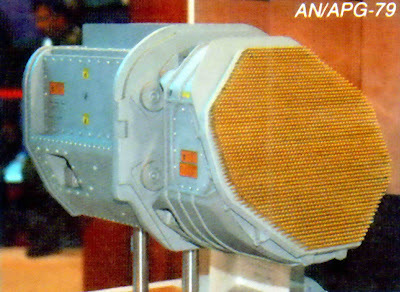 The french rafale at that time of MMRCA evaluations had fielded a prototype of RBE 2 aesa radar as it was not operational at that time . a)No of T/R modules ~ Approximately around 1000 T/R modules according to thales . The exact T/R module count is though classified . There were speculations of around 840/870 T/r module by seeing some pictures on net but those pics are not the real production RBE -2 AESA model but rather they are dummy models displayed during Le bourgett air show. Infact French dassault deliberatley shows the blurred production RBE -2 AESA model pics in the net & brochures to prevent exact T/R module count. It has a limited angular coverage (foV) due to it's fixed aesa plate design compare to Swashplate aesa radars which have wider angular coverage (FoV) .So in a bvr warfare scenario after EM guided missile has been launched from rafale against a plane having a swashed plate or fixed plate array , the rafale cannot manuveur more than 70 degree from the viewing angle in comparision to swash plate aesa radar planes which have more than 90 degree FOV . make rafale more prone to enemy fighters BVR missile attack. 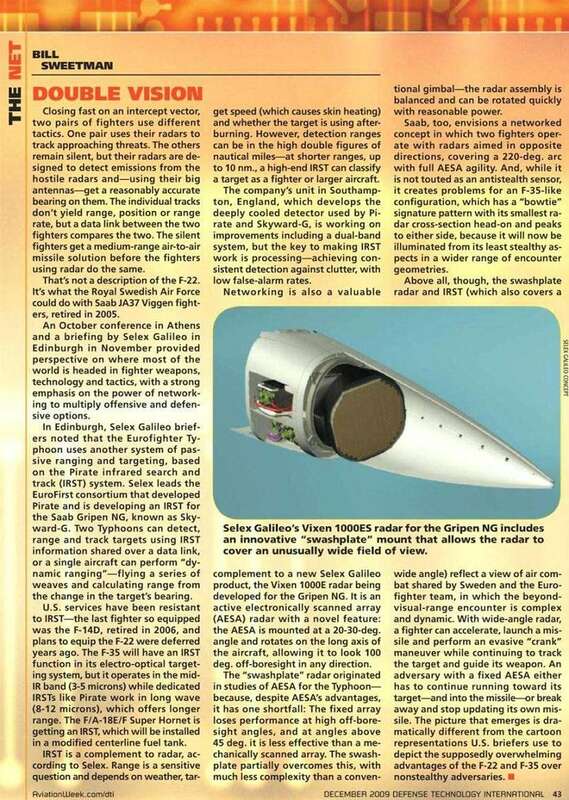 But according french Air&Cosmos 2355 issue defence magazine MBDA, Thales and Sagem started future Mica NG where provision has been included for third party targeting also in which wingmen / buddy rafale which is in active mode can also provide mid course updates to mica missiles launched by shooting rafale from a safe distance through (Mini awacs concept) .So the shooting rafale plane can easily move away from after launching BVR missile to it's target. The Russian side have two variants of ZHUK-AE aesa radars one is FGA-29 model & other is FGA -35 model .During the evaluations they have fielded FGA 29 model but have claimed the FGA -35 model would be the real radar for MIG 35 in future. 130 km (head on) in both look-up or look down modes. Look-up tail-on detection range is 50km (40km look down). somewhere it was reported they have achieved 148 kilometers, according to Vyacheslav Tishchenko, the company's general director. of MiG 35 .Zhuk ae 35 radar has almost equal detection range or slightly higher .But it has higher no of aerial targets scanned compare to RBE 2 aesa radar. The IAF were not impressed by the performance of FGA-29 model basically they wanted a more powerful radar . But none the else it's performance would also have been more or less equal to RBE 2 aesa radar in detection range .No major diffence would have happen even if they had demonstrated during evaluations. The antenna of the Super Viper AESA is a fixed plate that does not move. Gone are the stability limits of the actuators driving the mechanical antennas in other fighters. But Dassault in order to meet the UAE requirement, the power output will be increased from 9.6 kW to 14 kW by changing the cooling pomp. This should provide an additional 10% range bonus. The technology transfer, though likely to be limited, would meet the requirements of the IAF. Our proposal will be compliant with the request for proposal (RFP) issued by the IAF for the 126 combat aircraft," he said. domain-b.com : Raytheon to transfer AESA radar technology to India up to the level permitted by US government. The Gripen had not demonstrated Raven ES-05 radar prototype at that time they had stated it would be installed in future . maximum no aerial target it can track ??? maximum no aerial target engaged simulataneoulsy ??? In long-range air-to-air combat, the highest FoV means that a Gripen can maneuver at an angle in relation to the viewed axis of the target (off-boresight angle) greater than what is possible with an AESA radar with fixed TRMs matrix after launching a BVR missile and still be able to send updated information to the missile. In turn, a potential enemy will be limited to deviating up to 60º of the viewed angle after launching the BVR missile. Therefore, it will still be displacing towards a missile launched by Gripen while this, in turn, will be flying perpendicularly or even away from the enemy missile. Simulations made showed that this capacity should not be underestimated and it will have a devastating effect in the engagement result of the BVR. 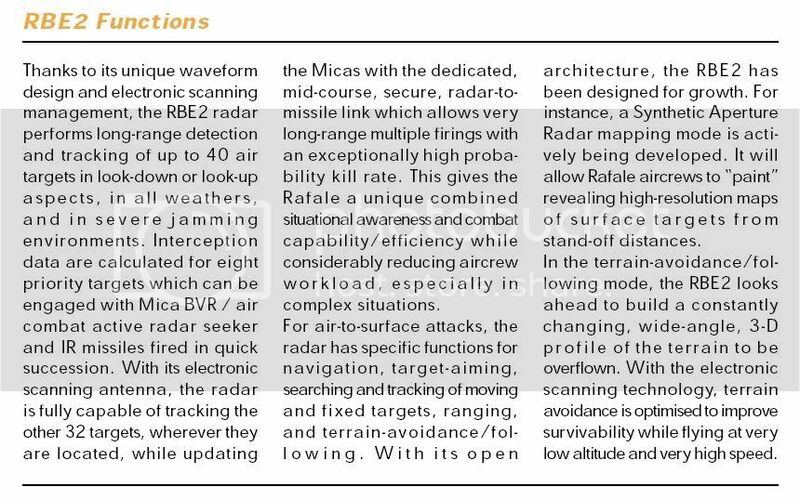 can they boast of overwhemingly superior Es-05 radar compare to RBe2 aesa radar But at the moment they are plans only for EW suite not AESA radar they are using GaAS T/R modules for ES-05 radar basically. 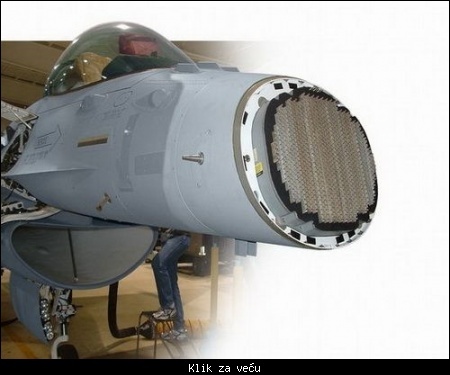 BTW They havenot demonstrated this AESA radar protype in MMRCA evaluations at all leading to it's cancellation. IAF sources reveal that Gripen failed to provide proof that their AESA radar development was on track and that they could integrate it on a fighter. In contrast, Dassault had fitted two prototype AESA radars on Rafale fighters, proving they were close to completion. Eurofighter, too, test-flew a prototype AESA radar for the IAF evaluation team, convincing them it would be ready by 2014-15. The Captor-E will contain about 1,500 transmit-receive modules, and Morrison said the Typhoon’s relatively large nose means it could hold a bigger array than the equivalent radar built by Thales for the Rafale, France’s twin-engine fighter. In 1997 Marconi indicated CAPTOR had detected fighter sized aircraft at ranges of well over 160km and larger aircraft at double that. More recent information indicates the systems range accuracy is within 10 metres while it can obtain a target angle to within 1 miliradian. The system is capable of tracking 20 air targets simultaneously, automatically identifying and prioritising them. The Captor-E will sit on a moving plate, or “repositioner,” giving it a 100-degree field of regard, as distinct from US AESA radars, which sit on a fixed plate. The advantage of a fixed plate, say US makers, is minimal maintenance. With a fixed plate, Thales says the radar’s front end needs maintenance once every 10 years. But Morrison said the movement of the repositioner required by the Captor-E does not prompt a constant need for maintenance. “It is a gentle, rhythmical movement compared to mechanically scanned radars, and the need for maintenance is not great,” he said. “US aircraft fitted with AESA like the F-16 have a smaller nose, and would not be able to fit a repositioner in any case. Ignoring the swash plate advantage of CAPTOR -E aesa radar over RBE 2 aesa radar. Captor-E on pen & paper is definitely superior to RBE 2 aesa radar in terms of performance & Capabilty thanks to it's increased T/R module count & big aperature size . But it can only be confirmed after proper evaluations & testing if similiar scenario happens like APG 79 aesa radar then !!! But unlike the french they havent disclosed anything about GaN T/R modules nor conformal arrays in future at the moment. Eurofighter typhoon what lies ahead? .....In ‘Radar 1’ form, the E-Scan Captor should offer equivalent performance to the mechanically scanned version, but with all of the traditional advantages of AESAin terms of reliability and multi-mode flexibility as well as enhanced electronic counter-count enneasu res (ECCM). 1) 1st non US & completely french Content operational ready AESA radar at that time of winner of MMRCA evaluations as it was going to be inducted in 2012 .
thanks to it's conformal radar arrays + GaN tech T/R module leading to increased angular coverage & detection range. Critically for India, the transfer-of-technology (T-o-T) would include that of a state-of-the-art Active Electronically Scanned Array (AESA) radar that would provide Rafale the ability to also function as a close battlefield support airborne warning and control system (AWACS), apart from its designed function as a fighter. The AESAradar T-o-T would also include transfer of software source code, according to Chabriol. ricky123, randomradio, Paliwal Warrior and 1 other person like this. Paliwal Warrior and layman like this. what is the significance of this article? Right now the situation is such that each contender will be able to give India what it wants. It is buyers market and we should behave like a buyer in buyers market where we demand things, for some reason, the Indian attitude (when UPA) was in power was submissive, making it buyers market all over the world but for us it was sellers market, so the Russians were able to demand and we were complying with their demands. The Russians have not given us ToT as promised for the main gun of T-90, and strangely we are not demanding it. We should not be able to tell the russians that since you do not comply with ToT we shall produce T-90 as we want without paying the licence fee. and each tank that we produce now, the licence fee should not be paid. And only after they transfer the tech, and since then we can pay for the licence, and not for the tanks that we made during this time. 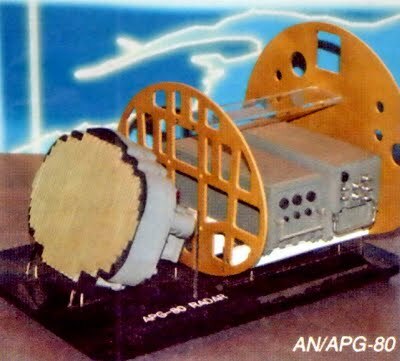 Yours article is excellent but with just 10-12 kw peak power rbe2aa aesa will not be very good wrt to jamming much powerful radars like n036 of pakfa,,,not that we will face pakfa eventually.